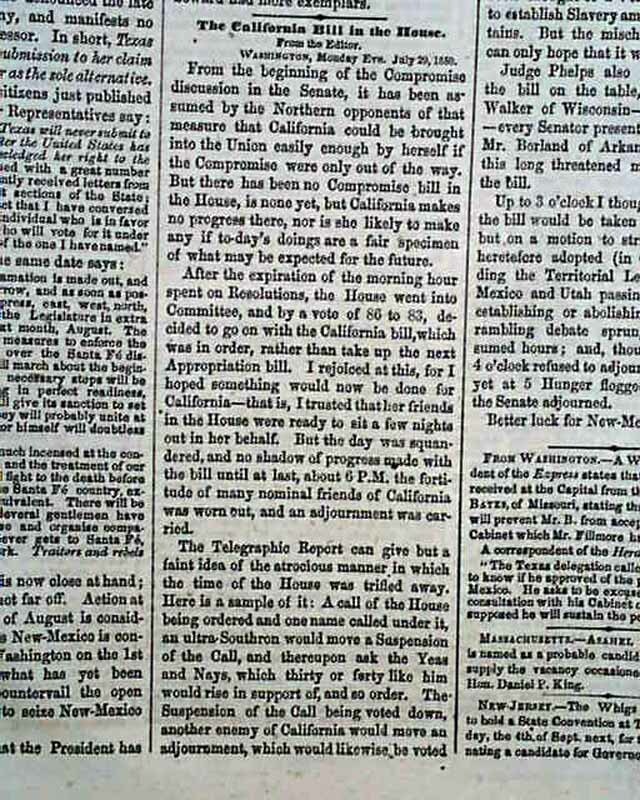 NEW-YORK WEEKLY TRIBUNE, August 3, 1850 Page five reports "The California Bill in the House". 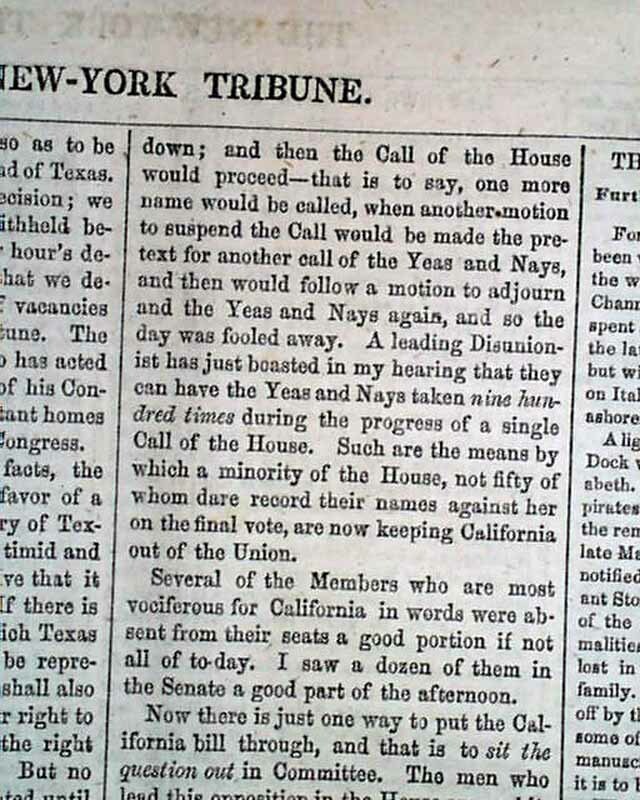 "...After the expiration of the morning hour spent on Resolutions, the House went into Committee, and by a vote of 86 to 83, decided to go on with the California bill...Now there is just one way to put the California bill through, and that is to sit the question out in Committee... 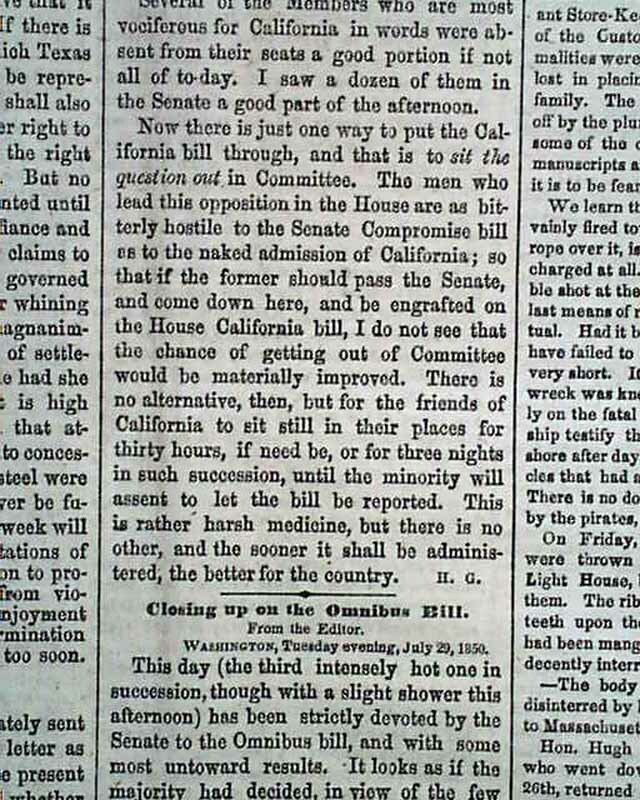 There is no alternative, then but for the friends of California to sit still in their places for thirty hours, if need be, or for three nights in such succession, until the minority will assent to let the bill be reported. 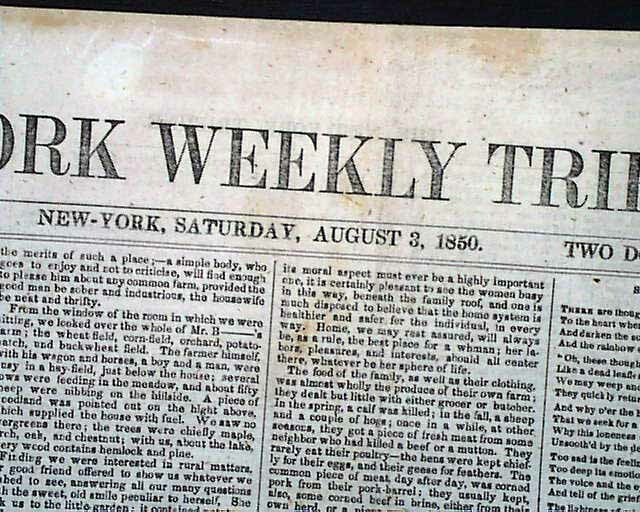 This is rather harsh medicine, but there is no other, and the sooner it shall be administered, the better for the country." 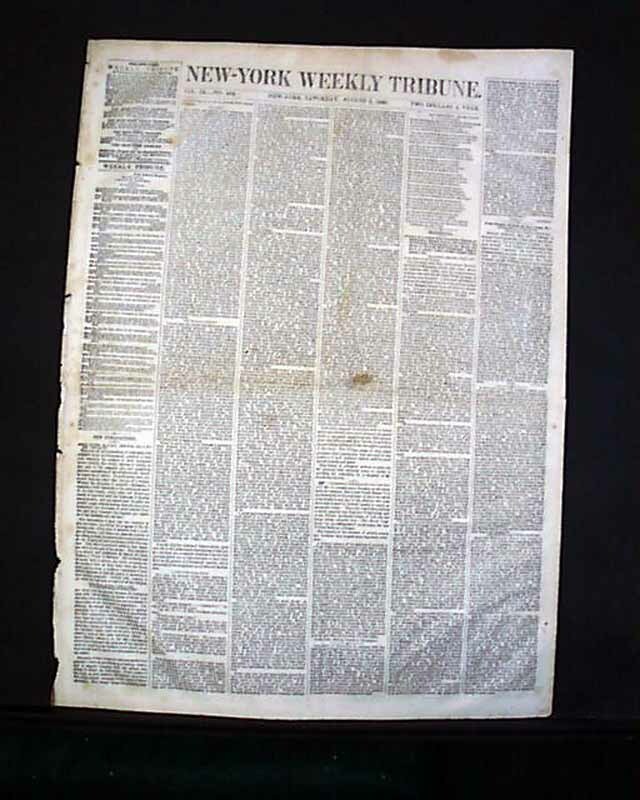 Complete in eight pages, in good condition.